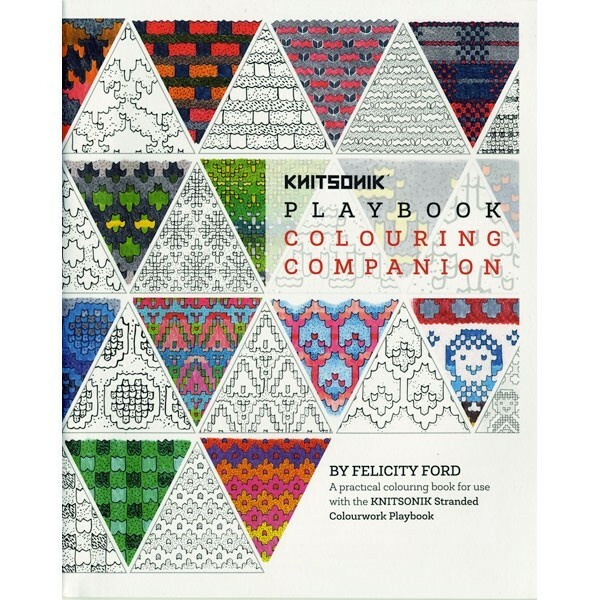 Fans of Felicity Ford’s first book (Knitsonik, Stranded Colourwork Sourcebook) will be pleased to see her two new titles: Stranded Colourwork Playbook and Playbook Colouring Companion. Many books encourage knitters to take inspiration from a photo or a painting, choosing all the colors included and then swatching to see which shades to keep, which to eliminate, along with understanding how to combine the chosen ones. 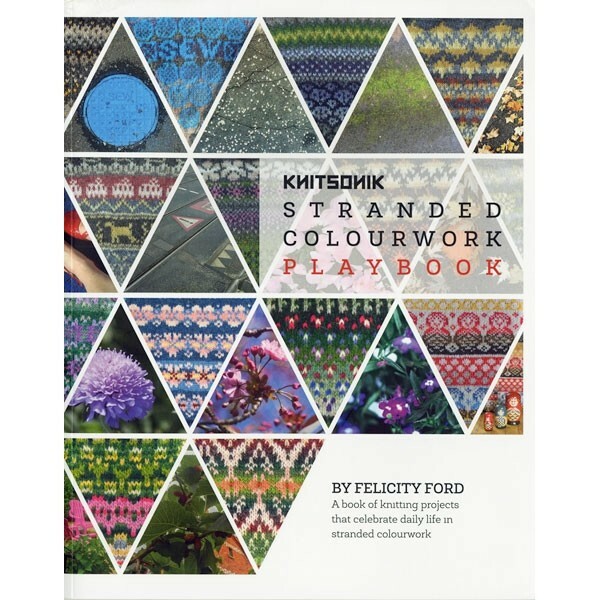 The Stranded Colourwork Playbook picks up where Felicity Ford's first book left off as you begin to see your surroundings through the author's eyes. If you have a daily routine, begin to look anew at the mundane items you see every day, and imagine them as pattern sources. For instance, there is a 12-page chapter which hones in on the varied colors and arrangements of bricks in houses in the author's neighbourhood. Bricks to Knit, with - literally - dozens of motif combinations and color possibilities. Projects may be small (Polka Dots & Dolls, or Buntings), or full semi-circular color-patterned shawls.There are plenty of charts with possible color-combinations offered. But that isn't all. Voilá, The author has also created a companion book that is much more than a coloring book. Playbook Colouring Companion allows you to find your own sources of inspiration. Here you will find many of the motifs from the Colourwork book, repeated numerous times, so you can experiment, through pencil coloring, with a variety of color possibilities.